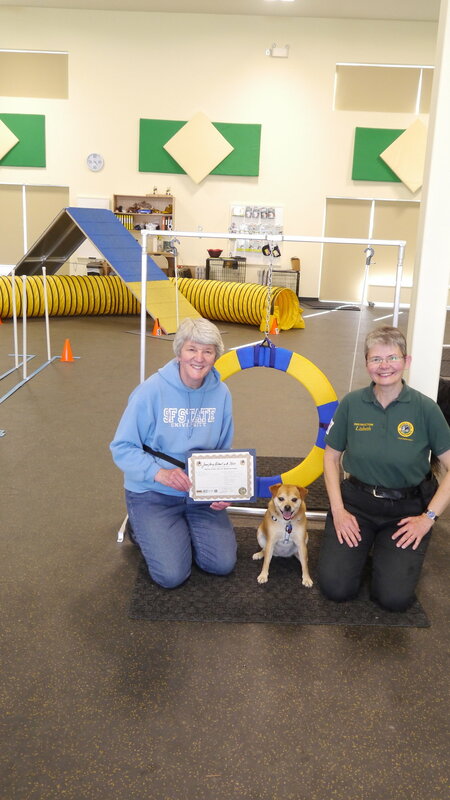 Tess, Jennifer and Robert graduate from Reactive Agility 101! Wanting to be new dog owners, we got 16 weeks old puppy, named Pepper. Shortly after bringing Pepper home, she was attacked by much larger dog and seriously injured. After consultation with the vet, we came to understanding that Pepper maybe traumatized by the horrible experience. We soon realized this was the case, Pepper was scared of other dogs and continuously barking. We contacted Lisbeth at Cowichan canine, who came to our home and gave us one on one lessons. We found Lisbeth to be very knowledgeable , professional and patient with novice dog owners. Lisbeth invited us to the Cowichan canine facility, where we were introduced to the staff and other dog owners. Being so impressed with the dedication of the staff and variety of classes, we enrolled Pepper immediately. Whenever we have any concerns or questions, Lisbeth is always quick to respond. Pepper became much calmer dog after reactive dog classes, so I am enjoying walking with her. To Lisbeth and the stuff, Thank you for everything. 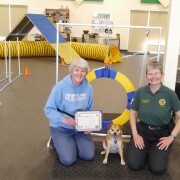 To Everyone at Cowichan Canine: Cyrus & I have just finished the Foundation program and passed with Honours - phew! Along the way we were fortunate to sample several of the other courses that you offer, including private lessons for my other dog, Ricco. It was a real treat to be able to do that . I learned soooo much about my dogs; from how they react to each other, how to understand their body language, to be more patient and even what treats to provide for success. I was very impressed from the start with your on-line registration, the class sizes, the ability to work at our own pace, and even the individual water bowls. And on top of all that, each instructor offers a unique view of training so that you can get different perspectives. And of course, Andrea keeps the ship running smoothly. The time the three of us have spent with you has definitely been a worthwhile Thank you from Sherie, Ricco & Cyrus.